support for your whole family and any brothers and sisters. Can I use the service? be having a negative effect on you and your life. If you are able to get support from DCA's Young Carer Service you'll get a named spport worker so you get to see the same person each time. The worker will talk to you about what is important to you and work out how they can best help you and your family. They can put you in touch with other organisations who may be able to help too. 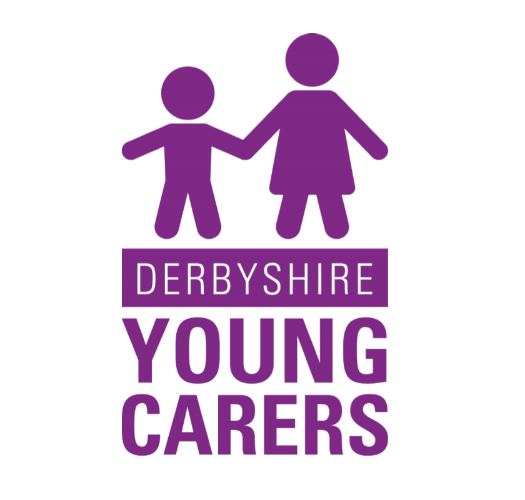 The service covers the whole of Derbyshire and supports Young Carers to have the same opportunities as other young people who don't have to care for someone. This includes help to make sure your caring role doesn't take up too much of your time and you are able to do things someone your age would normally do - such as going to school and seeing your friends. You can ask your parent, teacher, social worker or other adult you trust to get in touch with DCA for you and see if you can use the service. You can contact them yourself but if you are under 18 you will need permission from a parent or guardian to use the service. One support service that is there for young carers is the Derbyshire School Nurse Service. Every School has a School Nursing Team linked to it and the team are there to support you in any way they can. You may just want someone just to talk to, someone to make sure you are healthy or someone that can help you access support groups and services. Derbyshire School Nurses have a Facebook page so look them up. They also have a website for you to look at with information about who they are and what they do. Or you could always just ask your teacher or pastoral support staff to contact your school nurse for you if that is easier. you are struggling with school or with people at school. Counselling lets you talk to a non-judgemental counsellor about how you feel. The counsellor will listen to you and try and help you find ways to make things better. Relate offer counselling services to young people in Derbyshire. This video talks about how counsellors can help you. If you want to use the Relate counselling service you can ask a teacher, support worker or social worker (if you have one) to get in touch with them for you. Or you can get in touch with them yourself. If you aren't sure which you should contact, you can use the map on the national Relate website to find the nearest counsellor to you. You could use the Counselling Directory which lets you look for services near you. Or you could speak to your school nurse or doctor and ask them to get in touch with a counselling service for you through the NHS. Make sure you tell your doctor that you're a young carer as they might be able to offer help to make things easier for you and the person you look after. It's important you tell your teacher or lecturer that you're a Young Carer. They may be able to support you and help you plan your workload around your caring role. Space 4U can help young people who are seriously affected by someone else's drug use (usually someone in your family). They offer help and advice on issues such as friendships, worries about family life, information on drugs and alcohol, and keeping safe. They can also offer access to First Aid training. Action for Children are leading on a project to identify and support Young Carers in 3 schools in North East Derbyshire: Eckington, Dronfield Henry Fanshawe and Tupton Hall Secondary schools. Find out more in our news section. If you're balancing a part or full time job with caring then tell your manager. If they understand your situtation they are more likely to be able to help you. Carers over 18 who work do have employment rights. For advice and support with caring issues over the phone, call the Carers Direct helpline on tel: 0300 123 1053. As a young carer you may find it helpful to get some training. This could be on things like First Aid or how to help someone move around without hurting yourself in the process - this is called 'moving and handling'. The Young Carer Support Service will also be able to help you find out what's available. Give them a ring on tel: 01773 833833 or message them on Facebook. The Red Cross also has a free eLearning program where you can learn about the basics of First Aid online. Carers UK have worked in collaboration with Nutricia to develop a free online course about nutrition and eating well. The Carers Trust have lots of help and information for Young Carers on their website. The NHS Choices website has lots of information about who can help young carers as well as practical advice on how to balance being a carer with the normal things people your age do, such as school work and seeing friends. If the person you look after has cancer Macmillan have helpful advice on their website including a guide for Young Carers. The 'Caring for someone with....' section of our website has helpful and advice about caring people with a range of conditions, from dementia and physical disabilities to blindness and eating disorders.